This is very interesting but hard picture riddle in which you have to find the odd one out among given three similar looking puzzle pictures. 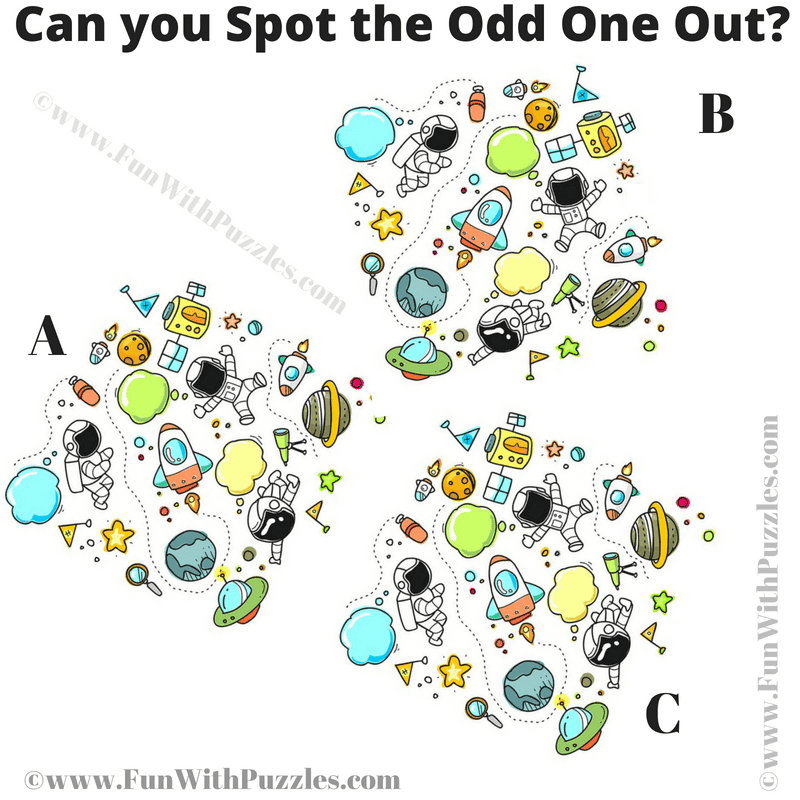 This Odd One Out Picture Riddle is dedicated to Space Adventures. There are three similar looking puzzle images in the given picture. Can you find out which one among these three pictures is Odd One Out? 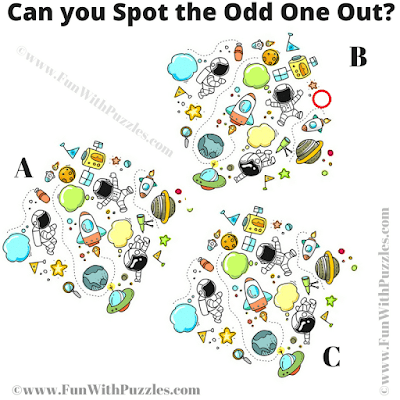 Answer of this "Spot the Odd One Out Hard Picture Riddle", can be viewed by clicking on button. Please do give your best try before looking at the answer.